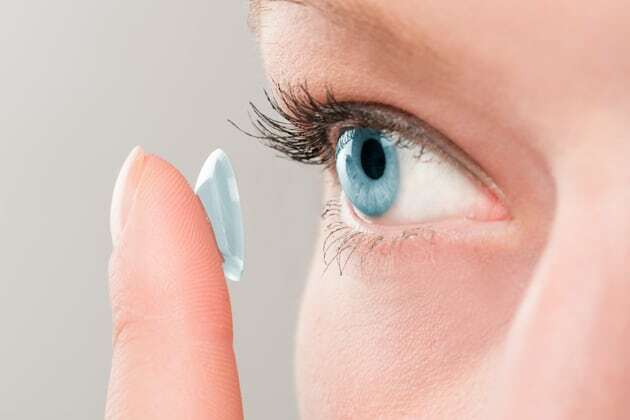 A 67-year-old cataract patient was apparently unaware that her eyes were not just dry, but in fact, had a whopping 27 contact lenses stuck inside them. U.K. opthamologist Rupal Morjaria told Optometry Today that in November, she and an operating team discovered a "bluish mass" of 17 contact lenses stuck together inside the woman's eye. Upon further examination, the group found another 10 inside the same eye. "We were really surprised that the patient didn't notice it because it would cause quite a lot of irritation while it was sitting there," Morjaria said. Rupal Mojaria said people have become more lax about checkups because contact lenses are so easy to purchase online. According to Morjaria and her team's findings published in the British Medical Journal this month, the woman was undergoing routine cataract surgery, had been wearing disposable monthly contacts for 35 years, and had no other complaints about her eyes. She said the patient, who did not attend regular optometry appointments, was "shocked." "When she was seen two weeks after I removed the lenses she said her eyes felt a lot more comfortable." Mojaria said people have become more lax about checkups because contact lenses are so easy to purchase online. The U.K's Association of Optometrists clinical and regulatory officer Henry Leonard told Optometry Today that most patients in a similar situation would be at a serious risk for an eye infection.